The Vermont House passed a bill Thursday that allows elective abortions until birth for any reason and strips the right to life from unborn babies. “It goes further than the other states that have laws because those other states typically talk about access to abortion until viability,” said Elizabeth Nash, a state policy analyst at the pro-abortion rights Guttmacher Institute, according to VT Digger. “No State or local law enforcement shall prosecute any individual for inducing, performing, or attempting to induce or perform the individual’s own abortion,” the bill adds. Opponents to the bill described it as extreme. According to WCAX, Republicans proposed six amendments to the legislation, including one that would require parental consent for a minor to have an abortion – but all were shot down. “It astounds me that you cannot in school give a child an aspirin because they might have a negative reaction to it, but at the same time it is perfectly fine to tell a child, ‘If you are pregnant and want an abortion, that’s great. Don’t worry about telling your parents,'” said Republican state Rep. Marianna Gamache. The bill now heads to the Vermont Senate, where it is expected to pass. VT Digger reports Republican Gov. Phil Scott – who says he is pro-choice – has not announced his decision about whether he would sign such a bill. It is official. The Vermont Democrat Party now holds the dubious distinction of being the party of unlimited, unrestricted and unregulated abortion-on-demand throughout pregnancy. Common sense amendments to protect minor girls, to limit abortions on unborn babies in the later stages of development, to provide informed consent (including alternatives to abortion), to providing regulation and inspection of abortion clinics, and other amendments, all went down to defeat by a Democrat-led, super-majority in the House. 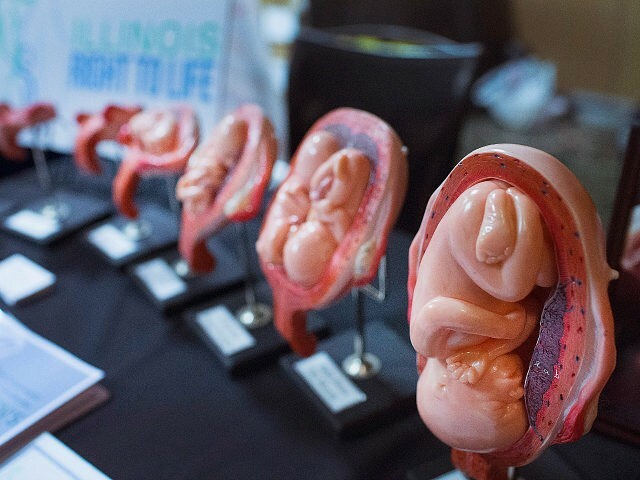 Pro-abortion legislators walked in lock step with Planned Parenthood and the ACLU as they read on the House floor the talking points that were rather obviously provided to them by both pro-abortion organizations. This legislation is far more radical than the recent expansion of late-term abortion in New York, as well as the proposed expansions in Virginia and Rhode Island. Those bills allow abortion for any reason up to viability and essentially allow for abortion up to birth, creating “health” exceptions that are often loosely interpreted to permit abortion on demand after viability as well. The Vermont legislation, however, “offers a blanket permission slip for any and all abortion, throughout the pregnancy, and for any reason,” she noted.